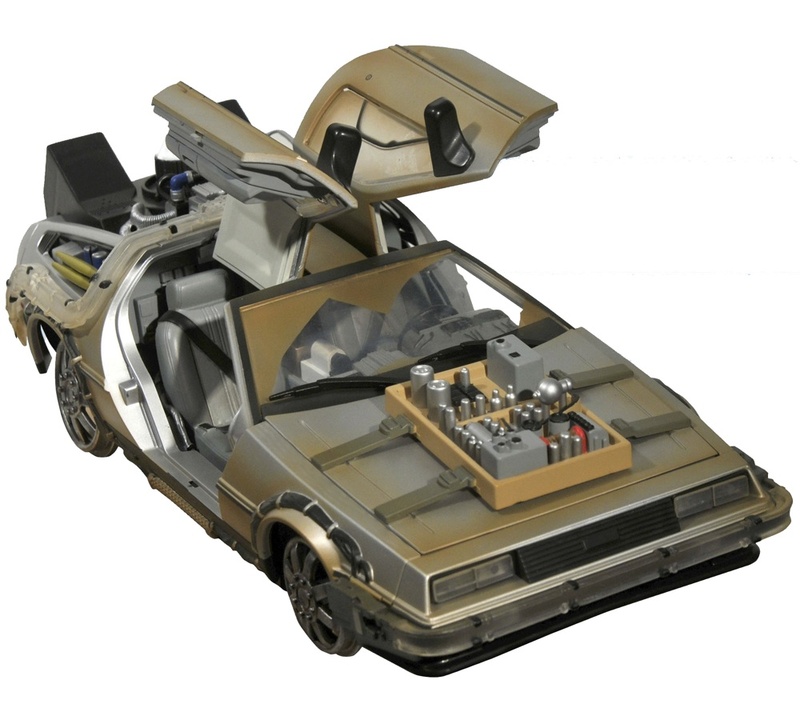 Diamond Select announced some very cool new additions to their battery powered line of 1/15th scale replicas this week. 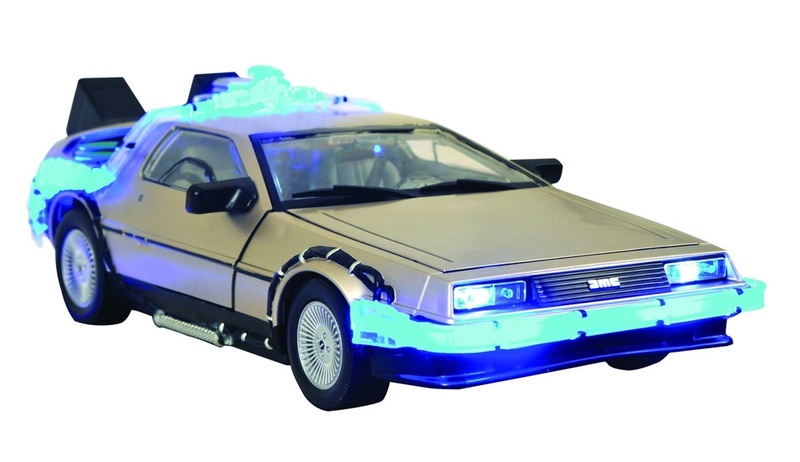 Not only will the DeLorean be seeing action yet again in three (!) different variations, but the Munsters Koach and that legend on four wheels- K.I.T.T. will too. 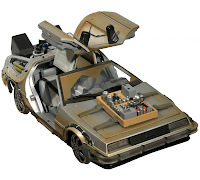 Marty and Doc's time machine will be offered in 1985, 1955, and old west versions. Each one coming complete with all the little variations that appeared in the now classic sic-fi, adventure/comedy trilogy. And for those with a little darker (but still goofball) edge to them, DST has the Munsters ride on the way very soon. And last, but certainly not least, comes the car that pretty much every little boy who grew up in the 1980's wanted to have in their garage when they grew up- The Knight Industries 2000. Oh, and this one- it has K.I.T.T. 's voice too. Our 1:15 scale replica of the Knight Industries Two Thousand (KITT) from the popular TV show Knight Rider also measures 14 inches long and features working lights and sound effects from the show, including the distinctive voice of KITT as well as his famous Turbo Boost! K.I.T.T. includes the following phrases:- "I am K.I.T.T. "- "All systems functioning"- "Activate Turbo Boost. "- "Michael, we are losing power. "- "Auto Cruise Mode. "- "Michael, I detect vehicles. "- "After all, we're only human." 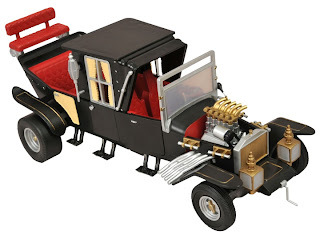 With fully detailed moving parts, you'll find yourself wishing you could climb into it and take it for a spin! Pre-order the Koach and KITT at your local comic shop or your favorite online retailer. 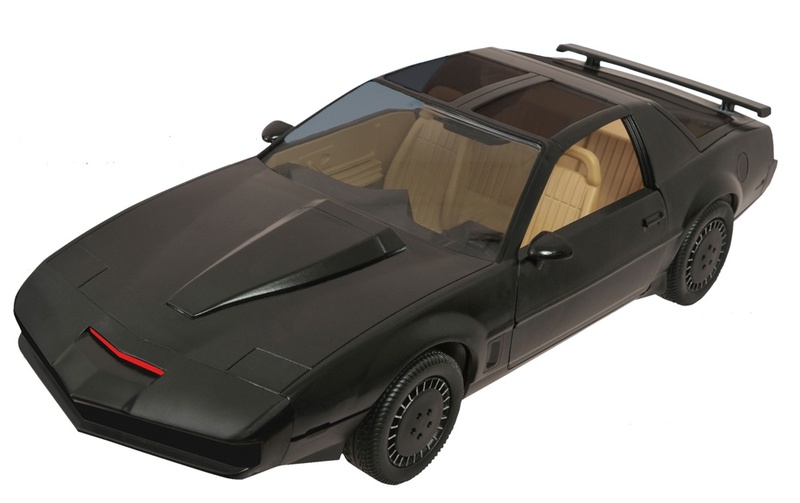 And if your KITT isn't complete without his partner, look for the exclusive Michael Knight edition at Entertainment Earth! Is there anyone that couldn't use a little Michael Knight and K.I.T.T. on their shelf? That's a rhetorical question by the way- there isn't.